I really enjoyed working with Matt and his team at Hunter Rowe. 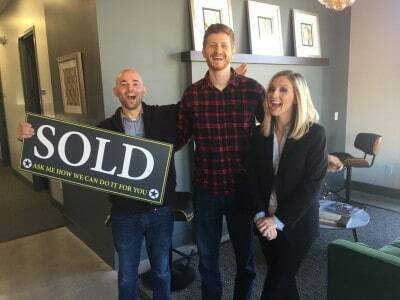 As a first time home buyer, I really appreciated that Matt took the time to thoroughly explain the whole process and answer all my questions. I had felt some nervousness and uncertainty around buying a house, his knowledge and experience helped me feel at ease. I had a general idea of what I wanted in a home and Matt helped me narrow in on exactly what I was looking for, even though I had a limited budget and big dreams. Throughout this time he was encouraging and helped me stay on track with my search. After about a month of searching, he was able to connect me directly with a seller who had a property that was a perfect match. I knew pretty quickly that this was the place and that certainty really helped propel me forward. Once we went to contract on the house things progressed smoothly. Matt and his team were there keeping cadence with the tasks that needed to be done during due diligence. They were responsive and timely, knowledgeable, and always supportive of me. I felt like I was in good hands. There were a few unexpected hurdles that came up during this period, but together with the lender and the seller, we were able to negotiate a way to make it work. The closing was pretty straightforward from that point on. Overall I couldn’t have asked for a better experience. I’m happy that I decided to give Matt a call and I will definitely be recommending him to other people I know who are looking to buy or sell.